HTC is set to host an event at 11:30am IST on Tuesday, May 16 where it is largely expected to launch the HTC U 11 smartphone. The big highlight of the smartphone is tipped to be the Edge Sense feature that appears to be an interface powered by pressure-sensitive sensors alongside the smartphone’s metal edge. These sensors will respond to squeezing, and perform multiple functions, something that has been teased by HTC on many occasions. Now, in a fresh leak, HTC’s app called HTC Edge Sense was spotted on Google Play briefly, revealing what functions the Edge Sense feature will be able to perform. A separate report also claims that the HTC U 11 will go on sale as soon as May 19. The HTC Edge Sense app was spotted by Android Police, and they’ve gotten hold of screenshots hinting at various functions the metal-laden sensors will be able to perform. The app was listed briefly on Google Play without any description, and there was no ability to download it either. The first screenshot asks you to test it by pressing the edges to ‘fill up a balloon’ and release it to launch the balloon. This is essentially to test the feature on the upcoming HTC U 11, and get a sense of how it works. 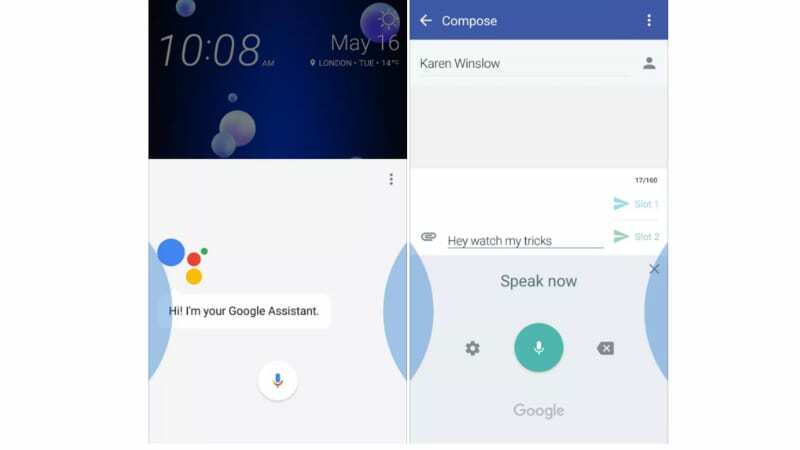 The other screenshots suggest that Edge Sense could work for taking photos, videos, firing up Google Assistant and much more. A separate leak from MobileExpose claims that the HTC U 11 will go on sale soon after its big reveal on May 16. The report claims that the smartphone will go on sale in Taiwan from May 19 for TWD 19,900 (roughly Rs. 42,400). This is really close to the reveal date, and it could also be when HTC kicks-off pre-orders, and not the actual sale. However, this is pure speculation and should be taken as such. The smartphone has been tipped to run Android 7.1.1 Nougat, sport a 5.5-inch QHD display, and to be powered by the Snapdragon 835 SoC coupled with 4GB of RAM. In terms of optics, the HTC U 11 is expected to sport a 12-megapixel rear sensor, and a 16-megapixel front camera. It has been tipped to offer 64GB of internal storage as well. There is also a 6GB of RAM/ 128GB built-in storage variant expected to be launched by the company. The HTC U 11 is also expected to house a 3000mAh non-removable battery with support for Quick Charge 3.0. In terms of connectivity, the phone offers options including 4G LTE (dual-SIM in some markets), dual-band Wi-Fi 802.11 a/b/g/n/ac, GPS with GLONASS, Bluetooth 5.0, NFC, and USB 3.1 Type-C. The fingerprint scanner on the HTC U 11 is embedded into the home button and the phone is expected to come with water and dust resistance rating of IP57. In terms of audio features, the HTC U 11 is expected to offer HTC BoomSound, Hi-Res Audio, HTC Usonic (Active Noise Cancellation), and 3D Audio Recording.